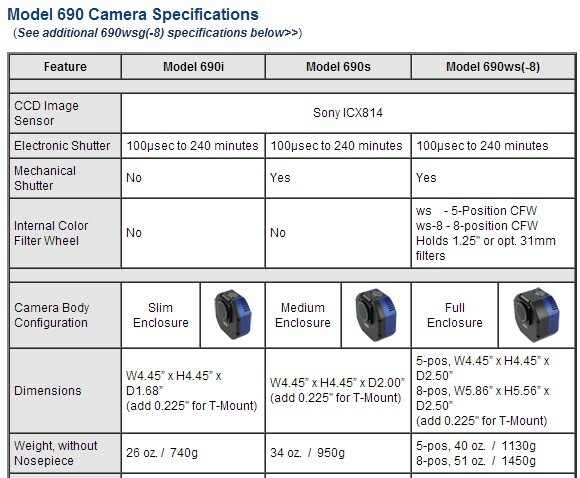 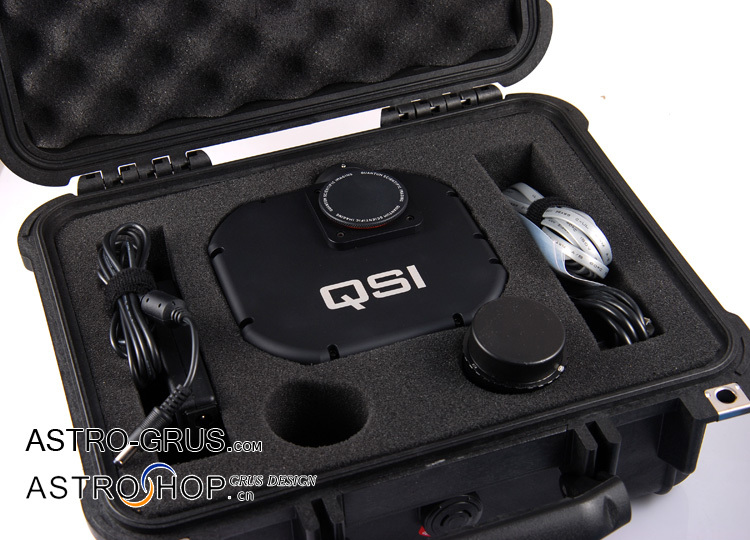 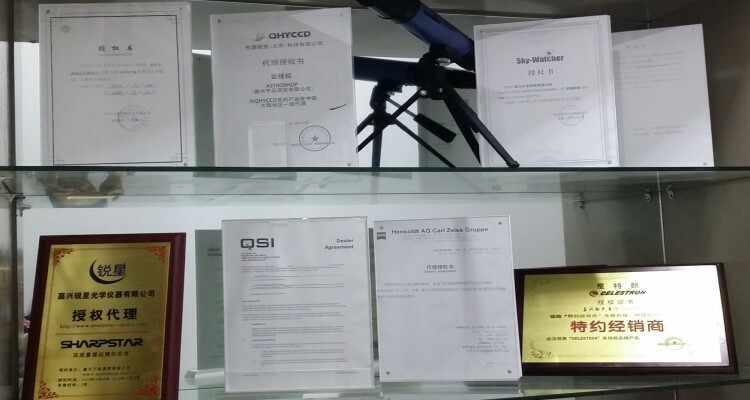 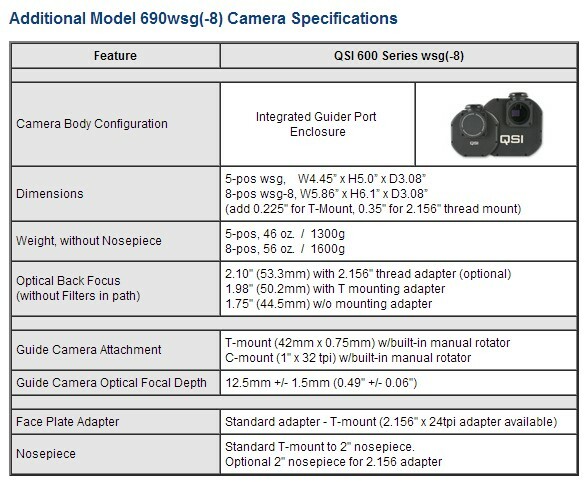 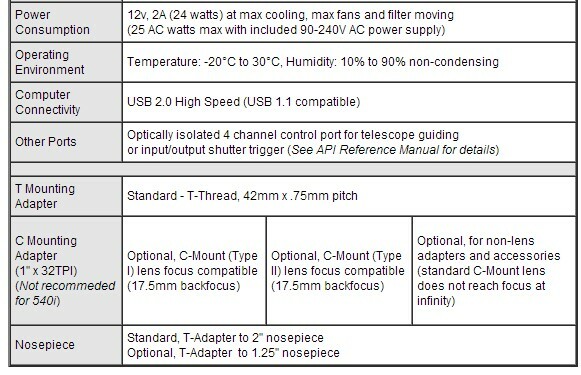 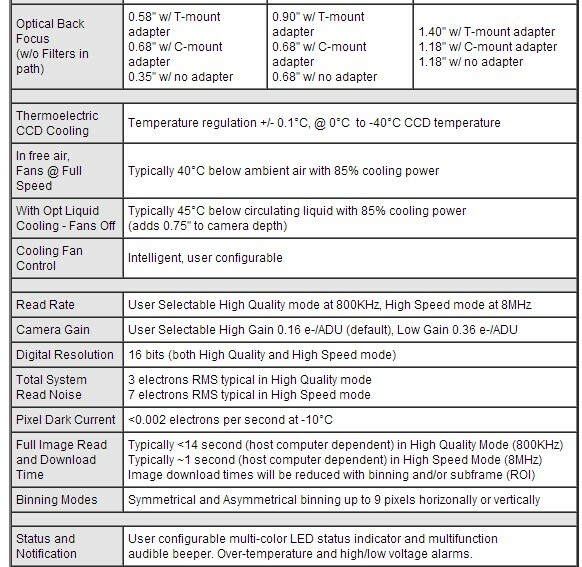 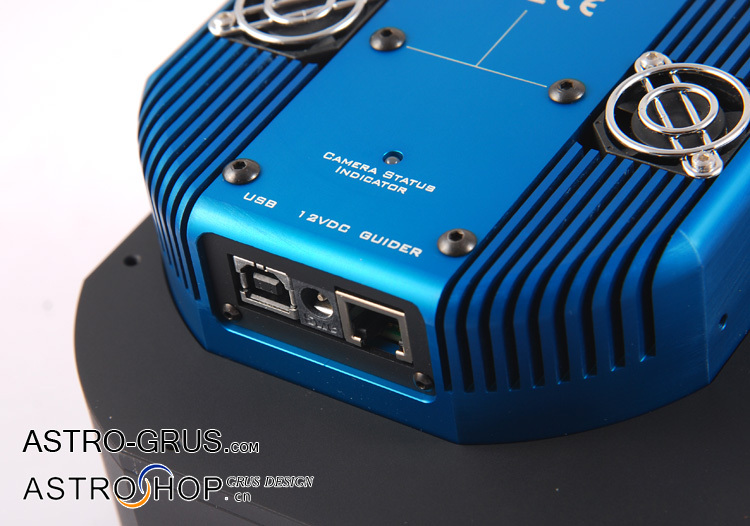 The QSI 690 model camera employs an 9.19mp Sony CCD image sensor. 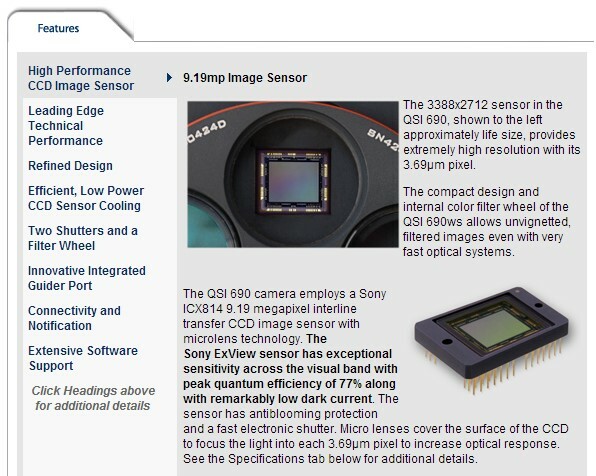 This new generation of Sony sensor offers remarkable sensitivity with peak QE of over 75%. 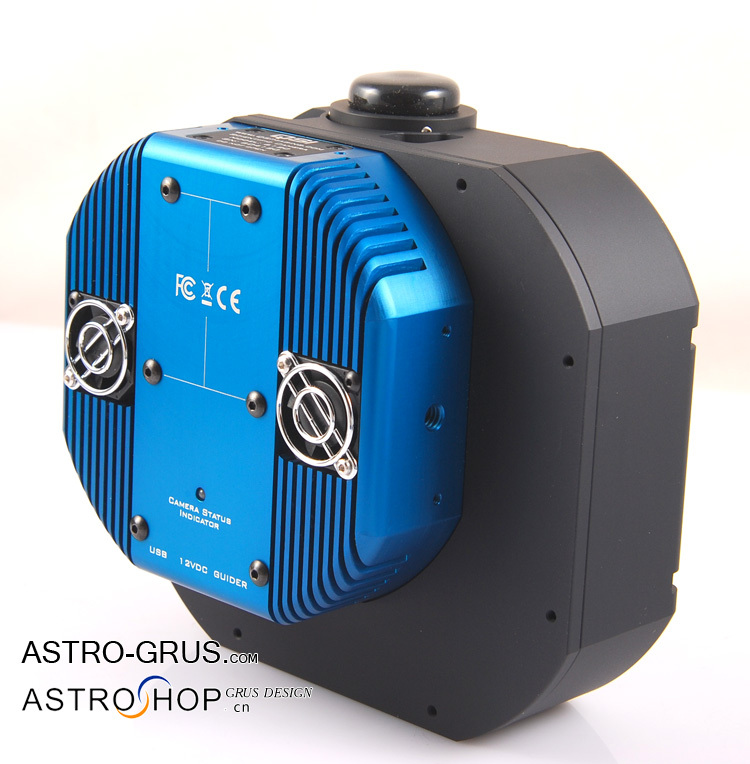 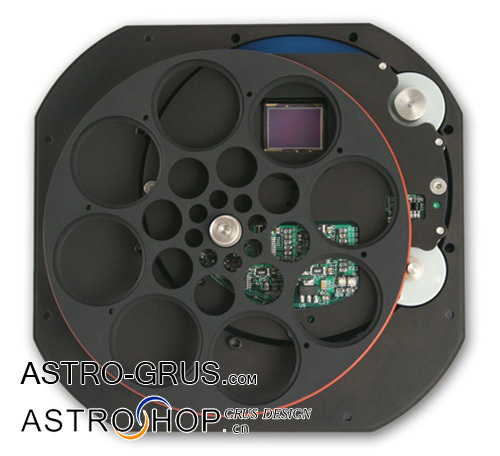 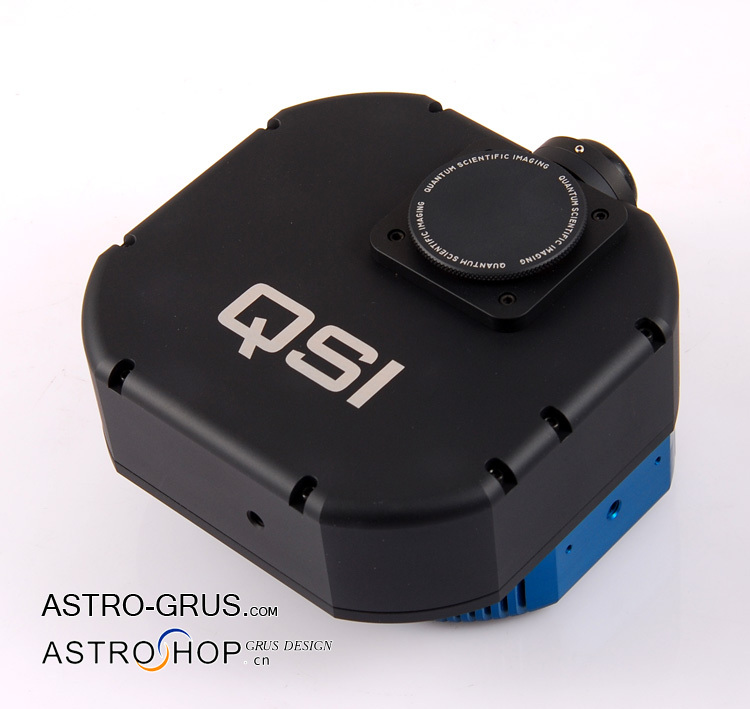 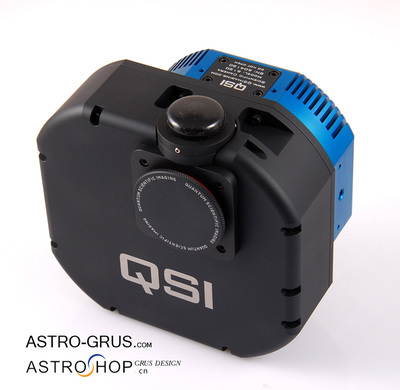 The high senstivity, wide dynamic range, dual read rates, low noise performance and internal 5 or 8-position color filter wheels make the QSI 690 ideally suited to a broad range of demanding scientific, medical, astronomical, and industrial imaging applications.